All Fauquier County Public Schools soon will have armed security officers. 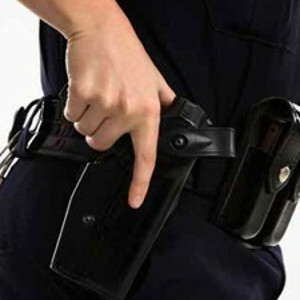 The school board Wednesday night unanimously authorized 12 new security officers — whom it will employ — to carry firearms. School and county officials earlier this year quickly agreed to add the positions after the Feb. 14 massacre of Parkland, Fla., high school students. Since May, the school system and sheriff’s office have filled seven of the 12 new security officer positions. Five already work in elementary and high schools, with two more starting Nov. 1. “Our hopes are that we will have the remaining five filled by the end of the year, if not, (then) the beginning of next year,” Human Resources Director Janelle Downes said Wednesday. A committee of two school administrators and two sheriff’s office employees has interviewed security officer candidates — all of whom have law enforcement experience. One security officer will work at each high school — Fauquier, Kettle Run and Liberty — joining county sheriff’s deputies, who serve as uniformed, armed school resource officers. Nine elementary schools — Bradley, Brumfield, Coleman, Greenville, Miller, Pearson, Pierce, Ritchie and Smith — will have SSOs, wearing street clothes, including labeled polo shirts. The other two elementary schools at the county’s southern and northern extremities — Mary Walter near Morrisville and Claude Thompson near Rectortown — have new SROs, members of the sheriff’s office. The school system employs the security officers. 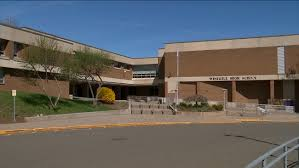 Their duties include maintaining order and discipline, preventing crime, investigating violations of school board policies and ensuring the safety, security and welfare of students, staff and visitors. SSOs report to the principals and will conduct daily building checks and drills, investigate incidents and monitor social media. Each county public high school and middle school campus — including Southeastern Alternative School for the first time this fall — has an armed sheriff’s deputy in uniform. The sheriff’s office has employed school resource officers for almost 25 years. The three new school resource officers and 12 school security officer positons will have a total annual cost of $1.2 million, including about $265,833 in startup costs. A state grant will help fund the positions.